Pioneers in marketing automation and HubSpot integration in China. 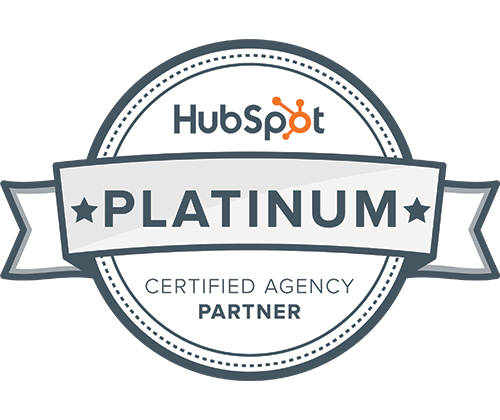 We were the first HubSpot Platinum Partner in Asia, and still the only Platinum Partner in Greater China. Find out how Oxygen can transform your marketing and sales efforts. Google has grown smart to mediocre content and keyword manipulation, with Baidu improving all the time. Oxygen ensures you get the right content in front of the people at the right time by always focusing on your buyer personas first. Need to integrate a new CRM? We've worked with companies running HubSpot, Salesforce, MS Dynamics, as well as sheets of paper and Excel. We analyse your sales processes, regardless of your current CRM or lack thereof, and customise the HubSpot CRM to help you close more business. Accessing all your data and performance reports is one thing - understanding it well enough to plan future actions is another. We provide strategic quarterly reporting and daily dashboards on HubSpot and Databox to help you understand the numbers. We were also HubSpot’s first ever agency in China in 2013. Our culture from the beginning has been based on doing the right thing, innovating, and committing to voraciously learning the things that would take our clients to the next level – such as our innovative China SMS & WeChat automation tools for HubSpot. We made it our mission to understand the online marketing nuances of both worlds, and have stood the test of time by constantly and successfully delivering on HubSpot inbound marketing & sales campaigns for our clients on both sides of the China Firewall. Build a website your company can be proud of. Mobile-friendly, smart-workflows and attractive content are just the start! The digital face of your company is often the only impression potential customers will see before making a purchasing decision. Engage and educate your visitors with content so good, they will be printing it and putting it on a wall. China is a tough market to crack where different rules apply. Use our tried and tested methods of marketing in China for real results. Empower sales to make better decisions and improve conversions with our sales training and enablement courses. Use Hubspot to transform your business into a modern, organised and most importantly - a functioning digital enterprise. Gareth and his team helped us clarify our strategy, provided valuable feedback and suggestions on the tactics, and are executing it nicely. I particularly liked the details into which Oxygen went, when it came to defining workflows and structuring the marketing & sales funnel. Oh and they came up with great designs! Overall, top quality work.